I think that there is a great reason that books are not amongst the gifts given in the 12 days of Christmas song. It is such a nuanced, difficult prospect to give books to anyone other than a child. I really struggled to come with a book I was given. Though we had lots of books in the house my parents didn’t give us books as presents. I have had an active library card since I was 4. I’m a borrower first and foremostly. Do I count books that librarians have given me? But that is their job. They are employed to, amongst many other tasks, suggest books for me to read. If I count librarians, then I would have to say I fell in love with Elizabeth Enright’s The Saturdays. 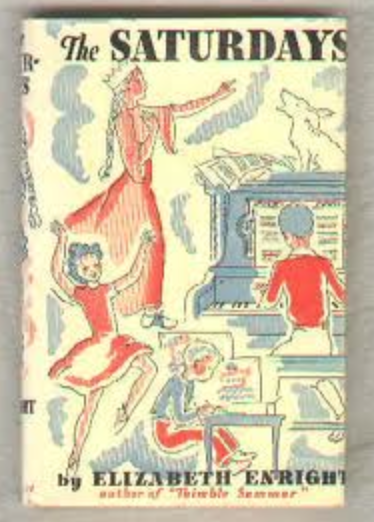 The first of the Melendy Quartet, written in 1940, follows the Melendy children living in New York, pooling their pocket money and having an adventure in the city. Mona, Rush, Miranda and Oliver set about on their adventures and in the process introduced me to the Opera, Central Park, the Museum of Modern Art. It is a splendid book that I read to my own boys when they were younger. It has not dated. It remains fresh and relevant, contemporary when it was published, yet now it is a glimpse at a city from a historical perspective. When Adam Gopnik’s From the Children’s Gate came out several years ago, I read through it excitedly. A book about children growing up in New York City and Central Park and love and life just had to have this American classic included. Sadly, he did not mention this most beloved book. I think I will have to count my Mad Magazines even though I stole my first one from my cousin John who years later claimed he knew that I was sneaking them home. He also said that it is the only way that Mad Magazine should be acquired. It would not be subversive to just give them. Children are much more fun to give books. They are still open and indiscriminate in their reading. They lap up the opportunity to read. I gave my cousin’s son Where’s Wally when he was little. He is now in his mid-20s, he is a DJ and travel manager yet everytime he sees me he is sweetly excited and talks about how it was his favourite book. Last year, I gave my nephew a stash of Zac Power books, I bought my goddaughter a heap of picture books, and my niece received Fairy books. Kids are easy. Find the series they love and then buy up big. The secret is to give them bulk. As the Bookwhisperer discusses here reading researchers know that the key to reading is volume. It’s doing lots of reading which is why series books hit the gift giving reading mark every single time. Adults are much harder when it comes to giving novels, in my opinion. I am selective about the types of plot lines that I will read, I adore books written in the third person from several character viewpoints but this is hardly the mindset that someone will have when they are choosing for me. Due to my own preferences, I know that only a couple of people I know have successfully chosen books for me; that would be two of my sisters. To date, my husband has given up trying to buy me novels. His first present to me was James Kelman’s How Late it was, How Late. I could not get past the first chapter. He has, over the years, tried to buy me romance novels but once again his selections don’t hit the mark. He buys me tropes that I dislike, category lines I don’t enjoy or books I already own (damn those reworked covers for different countries). Romance readers are the hardest of all fiction readers to choose from as there is so little guidance to call on. My lovely husband has worked out that when it comes to novels he needs to consult me first. Otherwise, the book risks being regifted which apparently is bad form (I personally have no problem with this practice). However, coffee table books, glossy reads filled with flashy photos are much easier to pick than novels. House design books, travel books, fashion and celebrity books. 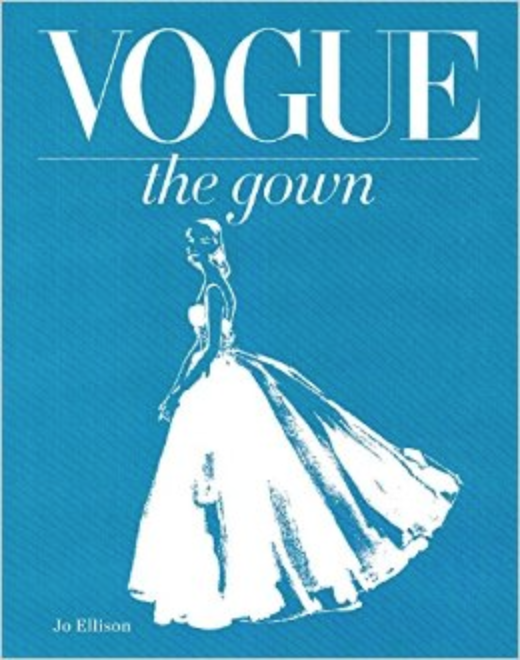 There is a beautiful book from Vogue called The Gown that I am coveting. Now that would be a great gift to receive. And as it is my 19th wedding anniversary tomorrow, I will leave this post accidently lying around. Someone may just take the hint.